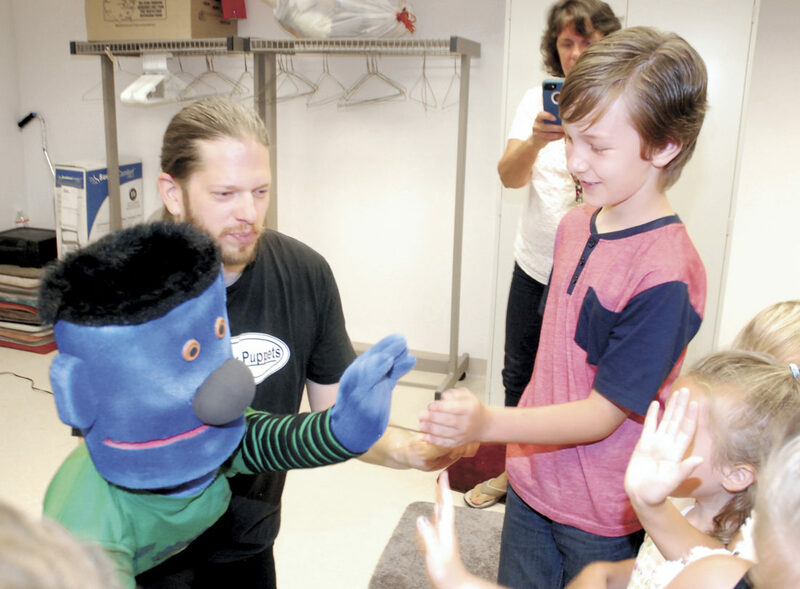 Ryan Brisbin, right, of Belleville, gives a high five to puppet ‘Jimmy’ as Adam Swartz, of Adam Swartz Puppets, greets the children who attended his show Wednesday at the Kish branch of the Mifflin County Library in Belleville. The show was part of the library’s summer reading program. Many of the children who attended the show are returning today to participate in a sock puppet workshop with Swartz.